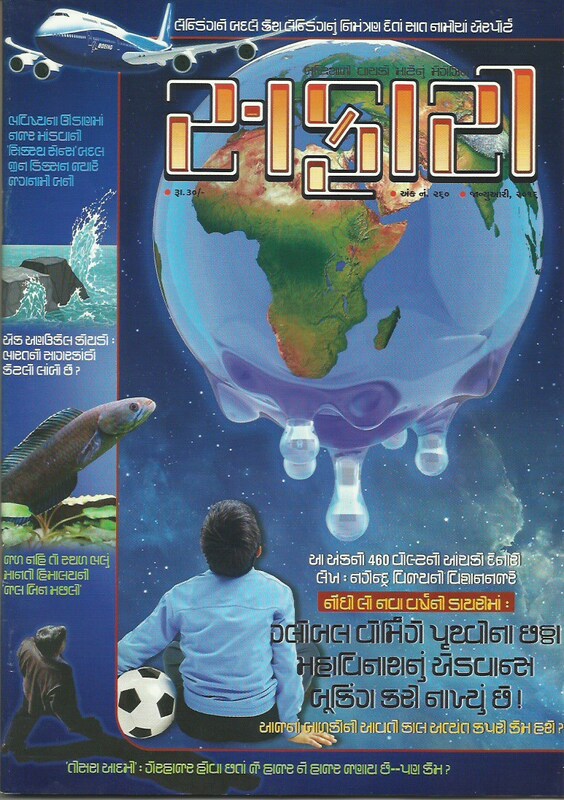 The January 2016 issue of Safari – a knowledge magazine from India – Gujarati edition is published quite on time. We are of course excited to see the content of the same and here are our views and reviews for the same. The cover page with Blueish background looks pretty attractive and gives somewhat Sci-Fi stuff look. This issue os more focused on Global Warming. It is the reality which we human beings are running away from since a while. A lot of us were not ready to accept that it could be so dangerous and mostly considered it as hype. Our ignorance made it even more serious matter, and then also, a lot of us are not taking it that seriously. The increased amount of natural calamities, unseasoned rain, globally raising temperature, increasing water level of oceans and areas with draught, small and big quakes we are witnessing since some time, and many more incidents are shouting to us that we cannot ignore Global warming anymore. Otherwise we will be leaving a dangerous future for the coming generations. The editorial is very well written. We have often said that – the editorial – is one of the most important part of any media. It serves as a channel of communication for the editor to convey his/her vision about the magazine and current happenings. Editor Mr. Pushkarna this time brings a very important issue very brilliantly in the editorial. He discusses about the Global Warming, but in a quite different (and important manner). He explores that how much calories a ₹5 packet of fried potato wafers contain. And importantly how much energy is wasted in making, processing and delivering it to us. We could never have thought of it in this way for sure. He raise a very genuine question: Can’t we get rid of the bad habits of eating such unhealthy packet food? And it can help fighting Global Warming! Yes, you read it right, the calculations and data backed information he have provided proves his point and that too effectively. Some readers have asked a very good question about recent tragic incident of heavy raining and flood reported in Chennai. They want to know whether it is somehow related to Global warming. The question went on and raise more queries about 2015 Global summit held in Paris about the climate change. The answer given by Nagendra Vijay is spread in 9 pages! In addition to provide facts about the incident, he brings so many other similar cases to the readers. It also talks about the Global Climate Change Conference help in Paris in 2015. The articles shows many maps and possible areas of various countries which are in danger of going underwater based on the temperature changing scale. The images of Gateway of India, and its possible geographical surrounding are self explanatory. The article is well researched and written in effective manner. Rather than bringing hypothetical information, it brings in data backed facts, making it reliable. 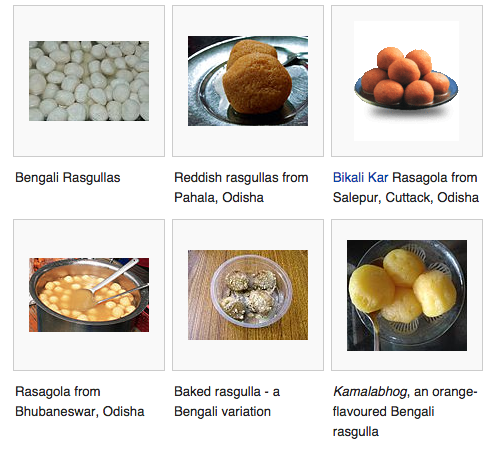 Rasgulla – a famous Bengali Sweet is in talks these days. No, not this time for its sweetness and popularity amongst sweet lovers! This time there are two states claiming its origin, West Bengal and Odisha. There is one small article talking about the dispute and what would be its impact in summarize manner. Do you know that there are several genera of fish which can live without water for extended time? Amphibious fish are fish that are able to leave water for extended periods of time. About 11 distantly related genera of fish are considered amphibious. An article of nature lovers about amphibious fish written by D. N. Kaushik, is also an interesting read of this issue. If you love to explore the diversity of the nature, you must not skip reading it. This 5 page article explores some interesting incidents which otherwise are rare to find for reading. — But who is that on the other side of you? Famous poet, essayist T. S. Eliot wrote these line in his famous work – The Waste Land. Why are we referring it here? Well, Ernest Shackleton in his book South, described his belief that an incorporeal being joined him and two others during the final leg of their journey. So he talks about someone who didn’t physically exists, like a spirit. Well, such imaginary feelings provides comfort or support during traumatic experiences. Mountaineers and other wanderers often got into this illusion when travel for long time alone or in very small group. It is referred as hird Man factor or Third Man syndrome. A detailed article is written about this factor in an interesting manner. You will find the case of Ron DiFrancesco – often referred as the last survivor in 9/11 twin tower attack, mentioned here. This article by B. M. Purohit will mainly interest those who love to explore geographical facts. The technics used in the survey and creating maps is interesting read. It is nice and informative to read about how the maps were prepared before years, when there were technical limitations. It is inspirational to read about the surveyors, who despite of facing so much hurdles, stick to their mission dedicatedly to achieve their target. Hats off to them. Is it true that the existence the planet of Jupiter played a vital role in making – life on Earth – available? The president of India travels foreign countries and meets officials there. Are these visits scheduled by the Government or they are personal? How many species of Dinosaur roamed around in India? Which is the costliest car in India? How animals and birds identify their family members in crowd? What was the size of the land Sardar Patel got acquired from local kingdoms and territories when the Republic of India has been geographically finalized? What is the difference between “Camera” and “Obscura” (terms used in Photography)? What was the recent controversy about Tipu Sultan, who fought with British empire bravely? Can Air-Powered cars be reality? There is a custom of sending SOS message in a sealed bottle when a ship encounters a trouble in mid-sea (or ocean); but can these messages get delivered on time? Is it true that excessive use of headphone lead to deafness? Who is the richest man ever? How the birds from North Europe, who doesn’t have enough strength to fly away to the warm area of Africa, can survive in extreme cold weather? How the satellite is setup in orbit? Usually the cities on the sea-shore have not-too-cold not-too-hot environment, why then Naliya – Kachchh (Kutch) gets very cold during winter? What is the lifetime of currency notes in India? Is there a predefined period after which the RBI calls them back? According to us, it is definitely a “value for money” issue. It gives you best for not only the money, but also for the time you spend to read it. It is hard to find such nice reading material at such low cost. The only thing in its against is, it is available in a regional language only. Making its reach limited. Do let us know your views about this article via comments below, we like to read you. And yes, do not forget to share this article with your friends.